Not long ago, it seemed impossible. But now, thanks to an innovative energy sector, the U.S. is on track to become the world’s largest producer of crude oil. And it shows no signs of slowing down. According to the U.S. Energy Information Administration, the U.S. has been pumping about 10 million barrels of crude oil every day. By the end of the year, output is expected to average 10.8 million barrels a day. By the end of 2019, the U.S. is expected to pump 11.8 million barrels a day. Domestic oil production is soaring so quickly, pipelines in the U.S. and Canada can’t transport it fast enough. So, while crude prices have been rising around the world, they’ve remained depressed in the U.S. This is great news for American refiners. These companies are profiting from the glut of cheap, light crude oil from West Texas, which is easier to refine. This translates to fat operating margins for American refiners. At the time of writing this, Brent crude oil — the global benchmark — is trading at about $77 a barrel. 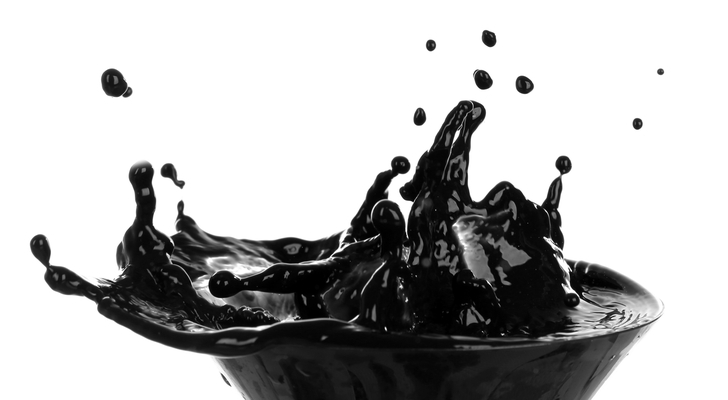 Meanwhile, West Texas Intermediate (WTI) recently fell to less than $68 a barrel. The wider the spread between Brent crude and WTI oil prices, the more that American refiners profit. Analysts are calling this an “oil renaissance” in America. So, lately, I’ve added several premium energy stocks to my newsletters. All three of these companies are excellent buys at current prices. HollyFrontier Corp. (NYSE:HFC) is one of the largest refiners in the U.S., with five refineries that have a combined crude oil processing capacity of 457,000 barrels per day. It produces a variety of products, including gasoline, diesel fuel, jet fuel, specialty lubricants, and modified asphalt. HollyFrontier serves the Great Plains, Rocky Mountains and Southwest regions of the U.S.
Now is a great time to buy HFC. Due to surging production in the Permian basin, prices of sweet, light crude oil (West Texas Intermediate) have fallen to three-year lows. Transportation bottlenecks in Canada have also depressed crude oil prices there as well. HollyFrontier has a modest presence in Canada, with a refinery in Ontario that produces 15,600 barrels per day of base oils and other specialized lubricant products. HollyFrontier will report its fiscal third-quarter results on or around Nov. 1. The consensus estimate calls for $1.82 EPS on $4.27 billion in revenue. This represents 59.6% annual earnings growth and 14.7% annual sales growth. For any yield seekers out there, HFC has a solid 1.8% annual dividend yield. The company has paid a dividend for the past 27 quarters running. The stock recently went ex-dividend on Aug. 22. Shareholders of record will receive 33 cents per share on Sept. 20. With its strong forecasted sales and earnings, and solid dividend yield, HFC is one of my top refining plays. With over 130 years of experience in the energy patch, Marathon Petroleum Corp. (NYSE:MPC) is responsible for 10% of total U.S. refining capacity. It operates six refineries in the Gulf Coast and Midwest, with a total capacity of 1.8 million barrels of crude oil a day. This makes it the second-largest refiner in the country. It is also one of the largest asphalt producers in the U.S., with a capacity of 104,000 barrels per day. Marathon Petroleum distributes its refined products through its fleet of barges and trucks, as well as through 10,800 miles of pipeline. The company supplies about 5,600 Marathon gas stations, as well as 2,700 Speedway SuperAmerica gas stations. The company sold 5.8 billion gallons of fuel last year. That’s a lot of road trips. And its strong U.S. network makes MPC a great choice for our portfolio right now. The refiner recently posted its highest second-quarter profits on record. Net income more than doubled to $1.06 billion, up from $483 billion a year ago. Earnings came in at $2.27 per share — this beat the $2.03 consensus EPS estimate by 11.8%. Revenue rose 22.3% year-on-year to $22.45 billion. Between dividends and stock buybacks, MPC returned $1.1 billion to shareholders last quarter. Speaking of which, MPC is known for rewarding its shareholders. The company is in the process of buying back $5 billion of its stock. MPC also offers a 2.2% annual dividend yield. In the past year, it has increased its quarterly dividend by 15%. The company just went ex-dividend a few weeks ago, but it’ll likely declare its next dividend in mid-October. Valero Energy Corp. (NYSE:VLO) was established in early 1980 in San Antonio, Texas, as a natural gas gathering company. Since then, the company has expanded to become one of the most well-known refiners worldwide. Through its 15 plants, Valero has a refining throughput capacity of about 3.1 million barrels per day, which makes it the largest independent refiner in the world. The company has also made inroads in the alternative energy industry. Valero is currently a leading producer of ethanol, as it has 11 ethanol plants in the U.S. These plants have a combined production capacity of 1.4 billion gallons of ethanol per year. Right now, business is booming for Valero Energy. For the third quarter, which will be announced in late October, analysts have high expectations. The consensus estimate is for $1.95 EPS on $29.7 billion in revenue. This represents 2.1% bottom-line growth and 26% top-line growth. Then again, Valero is known for beating estimates. As Valero’s top and bottom lines grow, it continues to reward its shareholders. Between stock buybacks and dividends Valero Energy also returned $672 million to its shareholders last quarter. Valero recently paid out a quarterly dividend of 80 cents per share, a 14.3% increase over the 70-cent payment made a year ago. Shareholders of record on Aug. 7 should have received the payment on Sept. 5. VLO currently has a 3.0% annual dividend yield. To summarize, we’re in the midst of an all-American energy renaissance. Oil production is booming in the U.S., and there isn’t enough pipeline capacity to ship all of that oil right now. Refiners are profiting from the glut of cheap, light crude coming out of West Texas. So there are plenty of buying opportunities in the energy patch. I have made several energy recommendations across my newsletters, but these three refiners are an excellent place to start. Article printed from InvestorPlace Media, https://investorplace.com/2018/09/3-energy-stocks-riding-a-wave-of-crude-oil/.